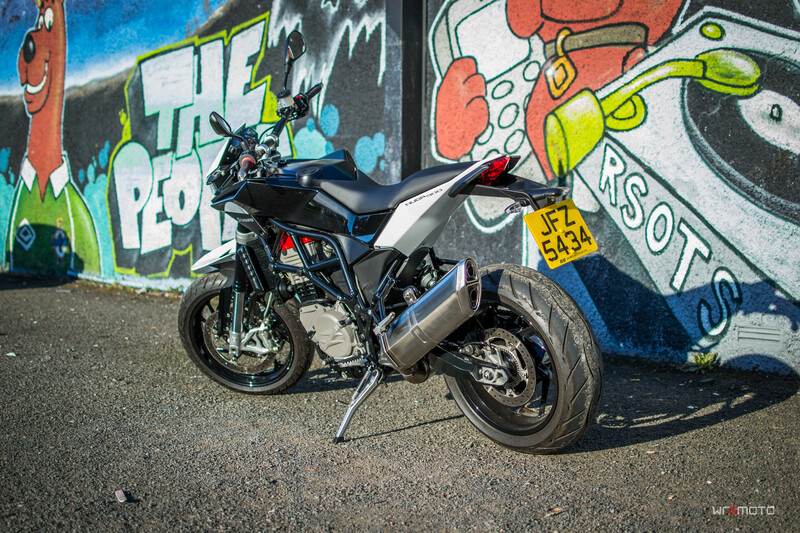 So this week I had the pleasure of doing a photoshoot with what is a very rare motorcycle here in the UK. There are only about 100 of them here and this one is from 2012 and is almost as good as new. The bike itself is a 900cc parallel twin with 105bhp so it has more than enough power to do just about anything you could ever ask of it. The engine itself is taken from a BMW F800 but they have done a bit of work with it to up the capacity and the power. If the numbers are to be believed its also extremely fuel efficient for what it is. After my short drive on the bike, it seems to be very comfortable, it has a very high and wide riding position that makes you feel like you mean business and are just ready to drive over things. The suspension is stiff enough to feel tight and precise around corners but I have no doubts that you would also be able to drive over speed bumps and the likes without bothering to slow down much. The brakes on this bike really blew me away, full Brembo system that makes the brakes on my own R1 seem absolutely useless (should probably look into that). They are more than enough for any road condition your likely to come across. 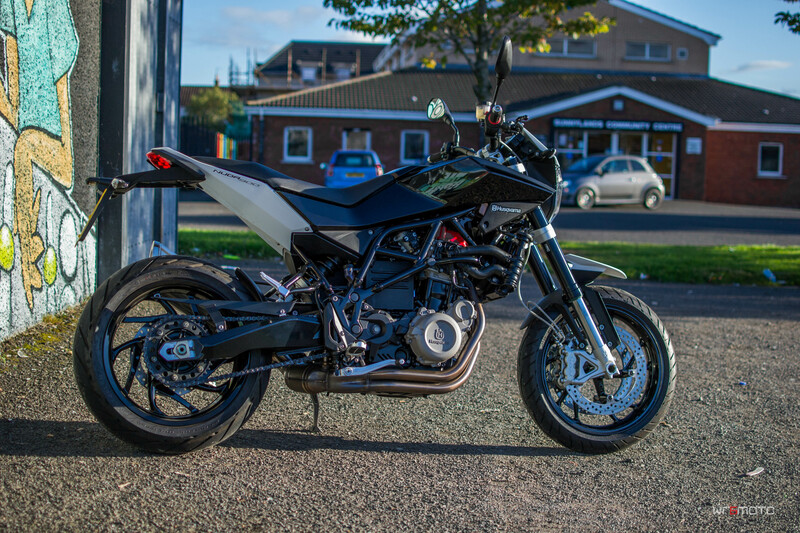 This particular bike is currently running a full standard exhaust setup, which even at that its not even remotely quiet. Despite being a parallel twin, these engines have a different crank angle than a typical setup of this engine, so the noise is much more similar to that of a V-twin engine. Really looking forward to seeing it again when its got a new can on it.